Experience theJoy and Fulfillment of living a Healthy Lifestyle Motivated by Love! but struggle to motivate your kids to make healthy, empowering choices? but worry because our culture reinforces our tendency to practice self-criticism and self-judgment more than self-compassion and self-love? But aren’t sure where to start? I’m Pamela, an Author, Family Health Educator & Advocate and the Creator of The Super Dynamos! My Mission is to empower our kids’ generation to grow up feeling healthy and happy from the inside out! And, my friend, that starts with us! When I was a young adult, I began to value my health in a whole new way. I struggled with body image issues, emotional eating, and an aversion to all things athletic since I was 7. Then one day, through an act of grace, I saw myself in a different light. Instead of judging my imperfections, I looked at my body with gratitude and compassion. And everything changed! I developed a deep motivation to make healthful choices that was rooted in LOVE. For the first time, I made empowering choices that honored my body and made me feel good inside, rather than focusing on what I wanted to change on the outside. What I discovered was that living a healthy lifestyle brings joy and fulfillment when LOVE is the motivator. I couldn’t articulate it back then, but that’s when my desire to help others experience the transformative power of living a LOVE-Motivated Lifestyle began. I chose to get a B.S. in Psychology because I wanted to delve deeper into what I’d learned from my struggles growing up — how our emotions impact our lifestyle choices, and how our lifestyle choices impact our overall happiness. I started my career working as a behavioral specialist with children and teens. But after a big AHA moment, I decided to shift my focus. I completed a personal training certification (despite the irony!) and started training adults. From there, I decided to further my education and pursued a Master’s Degree in Health & Wellness Promotion. Once I completed my degree, I started working as a Lifestyle Interventionist with kids diagnosed with type 2 diabetes. In that role, I saw first-hand the devastating physical and emotional effects that unhealthy lifestyles are making not just in the lives of adults, but in the lives of children! 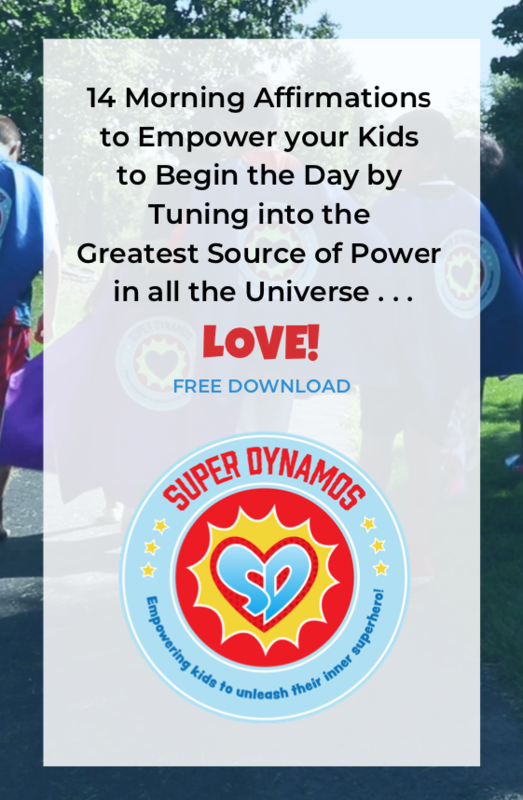 That’s what inspired my idea to create The Super Dynamos!, two superheroes whose mission is to help kids unleash their inner superhero by teaching them to value the health of their bodies, minds, and spirits so they can become that force that saves Earth from the villains’ evil plans … forever! When I became a parent, my passion for supporting kids’ long-term health and happiness expanded. And so did my understanding of what it takes to do so. Motherhood opened my eyes to the realization that society’s guidelines for being healthy and happiness was not enough. Post-babies, I still maintained a healthy diet and exercised regularly. But despite the fact that I felt physically healthier than ever, emotionally I was a hot mess. I began to integrate insights and practices into my daily life to enhance my emotional and spiritual health. Not only did I experience more inner peace, ease, and fulfillment in my own life, but it started to carryover into my kids’ lives deepening our connection — and our overall health and happiness! That’s when my passion turned into a MISSION! Raising healthy, happy kids today is hard! Believe me. I’m the mom of 3 boys. I get it! 1) Society doesn’t support our success. 2) Our crazy schedules leave us with little time or energy. 3) And being the role models our kids need us to be is difficult when we’ve been taught to prioritize everyone and everything above ourselves. When your reason for living a healthy lifestyle is grounded in LOVE, when it feels empowering and joyful, it becomes EASIER! You’ll discover that your kids, and YOU, will become more willing, even motivated, to make choices so your family feels healthier and happier from the inside out! 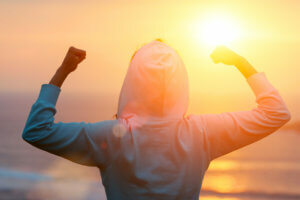 What is a LOVE-motivated lifestyle? A lifestyle that’s rooted in love and gratitude for your body, health and life. 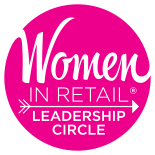 What does a LOVE-motivated lifestyle include? Self-awareness, self-acceptance, self-compassion, forgiveness, enjoyment and lots of love, of course! What is a LOVE-motivated lifestyle free of? Judgment, criticism, shame and guilt. What will I gain by adopting love-based motivation? and an aligned body, mind and Spirit! If you want to make your goal of raising healthy, happy kids EASIER, if YOU would like to experience more JOY and FULFILLMENT so you can feel healthy and happy from the inside out, I’ve got you covered!